Nijmegen is often dubbed ‘Havana on the Waal’ and since my visit to Cuba last year, I’ve often thought about this pseudonym. Of course, Nijmegen’s nickname is a political one, based on the population’s socialist leanings, which make this city a permanent red dot on the map. I’ve been wondering, though, if there are any other similarities between Caribbean Cuba and our very own Nijmegen. The large student and youth populations make both Nijmegen and Havana cities of the future. The Waalkade isn’t so different from the Malecón, La Habana’s eight-kilometre-long boulevard. While young and old get together on the waterfront in Havana, the riverside terraces in Nijmegen are always full and buzzing. But, in fact, I think there are more differences than similarities. Havana hasn’t got the connection with the water that Nijmegen has, thanks to its three bridges, and Nijmegen doesn’t have those classic cars you see on the Cuban streets. And whereas in Cuba, everyone wants to get to the other side of the water, we in Nijmegen would much rather stay on our side of the River Waal. But when I walk through Nijmegen on Liberation Day, I am well aware of many, much bigger differences between these two cities. It’s 5 May and Nijmegen is celebrating its freedom. The Kronenburger Park is full of crowds of joyful people. It’s a weekend of tropical temperatures and so lots of girls, from twelve to twenty, are enjoying a cold ice cream. Faberplein is full of merry people who seem to have been in the party mood since early in the afternoon. 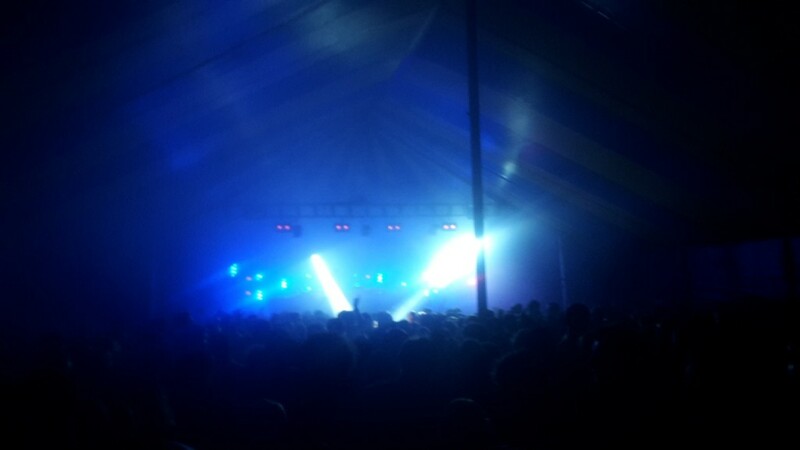 The techno tent at the Liberation Festival in the Hunnerpark is crammed full of carefree people who just love to rave. A rap group from Nijmegen, dressed in red, black and green, get up on stage, shouting Nijmegen’s praises. People are going wherever they want, raving, drinking or licking ice creams. I think again of beautiful Cuba, where there is no freedom and where no one can say what is important. Cheers to Nijmegen, to Havana (the one on the Waal). Cheers to our freedom.